Try telling that to my insurance. 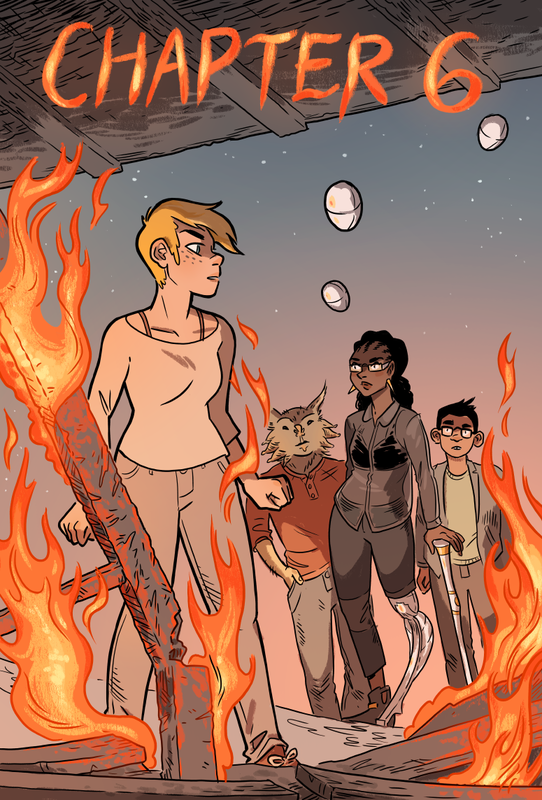 The cover theme is fire because this is finally a hopeful story about rising from the ashes. And the power of a positive attitude. Right? Right? Did someone say KISS reunion tour? … Wait, no costumes. In my headcannon, Alison absorbed Furnace’s powers after his untimely death. Her maddening hatred toward furniture, doors, stairs and ladders will know no bounds! Hell yeah you’re back! With the old team almost back together – maybe – hopefully? I hope I’m not weird, but artwise, my thoughts went directly to witch burnings – Al standing alone by a firey pole, with the concerned onlookers. It might be incidental, but it certainly looks cool. Not going as well as expected huh? Something about underpants, I think. Step 1: Burn down the world. GUYS! Guys. It totally was on fire when I got here. Definitely. I don’t have lazer eyes. Please believe me. Hector looks like such a doof here. Why was this my first thought? There’s something wrong with me. I looked at this panel and couldn’t help but think about the way her clothing is not nearly so durable as she is. A firefighting suit consisting of a ceramic-fiber shirt and pants with a similarly-constructed ventilator mask would really let her take advantage of her invulnerability in that regard. Hmm, the mask should probably have some kind of protection against carbon monoxide to be really useful… Then she could be even more of a super firefighter. Ooh! And with her flight, now she can arrive on scene faster than anyone a similar distance away. She’s been with her firefighting crew for at least a year, right? Maybe she’s implemented all this and then some, or something even better. Apropos of this line of thought which has almost nothing to do with the likely direction of the story… I’d really like to see Alison do some firefighting. I thought she had superman style tactile TK and the field extended just a little bit over her skin, so her cloths are protected. Damn, I cannot get over that beautiful cane. I bet it does something sciencey. Sonar looks rather nonchalant for someone standing in front of a literal flaming wreck. Actually, none of them, besides Alison, look particularly worried. They’re curious at best. Interestingly, Alison looks more annoyed with them than with the fire, but she doesn’t seem like she’s in a rush to deal with it either. Compare and contrast Brad and Hector’s expressions with Lisa’s. Then check out where Lisa’s sightline is pointed.